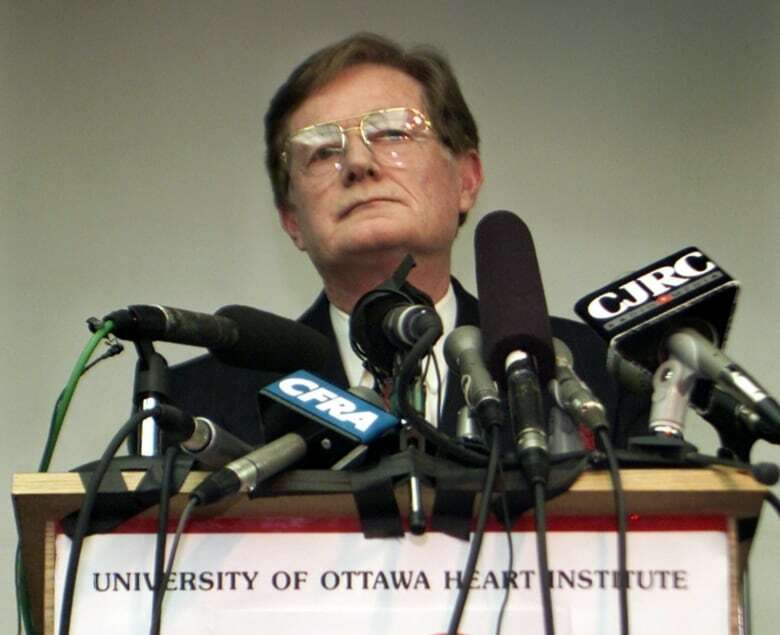 The man who performed Ottawa's first heart transplant and Canada's first artificial heart transplant has died. 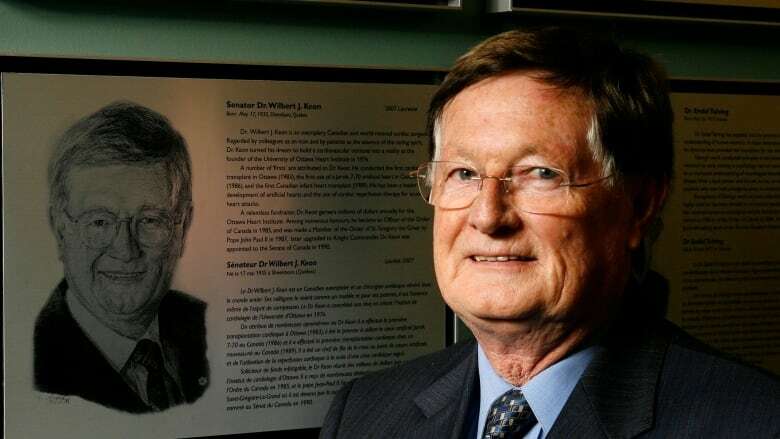 Dr. Wilbert Keon, also a former Canadian senator, was 83 years old when he died peacefully and surrounded by family on Sunday, according to the heart institute he helped create. Keon, who was born in the Outaouais in 1935, founded the University of Ottawa Heart Institute in 1976 and led a number of important surgical interventions in the 30 years he worked there. On May 29, 1984, the institute's first heart transplant was performed by Keon and his team. That same year, Keon was made an Officer of the Order of Canada. In 1986, he became the first Canadian to implant an artificial heart into a human as a bridge to transplant. The recipient, Noella Leclair, received a human heart within a week, and lived for another 20 years. "Together with the heart institute staff including those who worked alongside him for decades, I pledge that we will live up to his legacy, and his dream to continue building and growing his beloved Institute," Dr. Thierry Mesana, the institute's current president and CEO, is quoted saying in a news release. "This is a colossal task as he has touched so many of our lives as a surgeon, as a mentor, as a community leader, and as a friend." Keon was appointed to the Senate in 1990 and sat as a Conservative until 2010, when he had reached the mandatory retirement age of 75. Sen. Jim Munson said Keon was tremendously helpful as a senate veteran when he arrived. He said he encouraged and mentored him when he wanted the Senate to study autism. He said the work Keon did at the heart institute had global reach. "He put Canada into the world, people came here and come here from all around the world to learn from what has gone on here," he said. 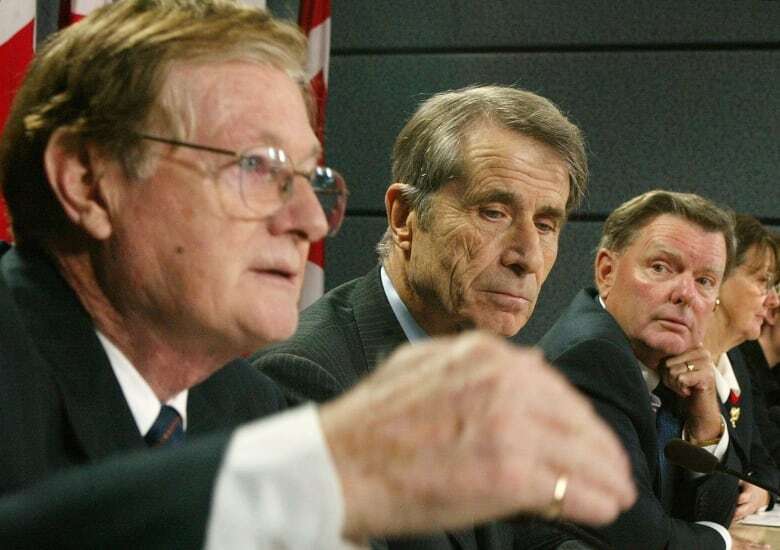 In December 1999, Keon resigned as director general of the University of Ottawa Heart Institute after admitting he tried to solicit an undercover police officer who was posing as a prostitute. "My conduct was inexcusable. The very fact that I opened myself to such a situation is a signal to me that it's time to step back from my leadership role at the institution," he said at the time, with his wife and family by his side. But the heart institute's board of directors unanimously rejected his resignation and asked him to remain head of the institute. He agreed in January 2000, saying he was overwhelmed by the public support he received, and remained CEO until he retired in April 2004. Munson said his public image remained intact after the incident because he had so much support here. "I think just because of who he was and what he meant to this community. He meant everything to this community. He meant everything to me. He meant everything to his family." Keon leaves behind his wife of 59 years, Anne Keon, as well as their daughter Claudia and her husband Mark Field, who live in England with their four children; their son Neil and his wife Debbie Loeb, who live in Dallas with their two children; and their son Ryan and his wife Cindy Tomlinson, who live in Ottawa with their two children.